June Rayfus Interiors, creating beautiful and stylish homes for over 25 years. We offer a Free Home Consultation service to all of Meath, Dubin, Cavan and surrounding areas enabling you to decide on the right fabrics & wallpapers for your desired rooms in the comfort of your own home. If you would like to book a home consultation please call us on 046 9022696 or 086 8223519 to book an appointment. 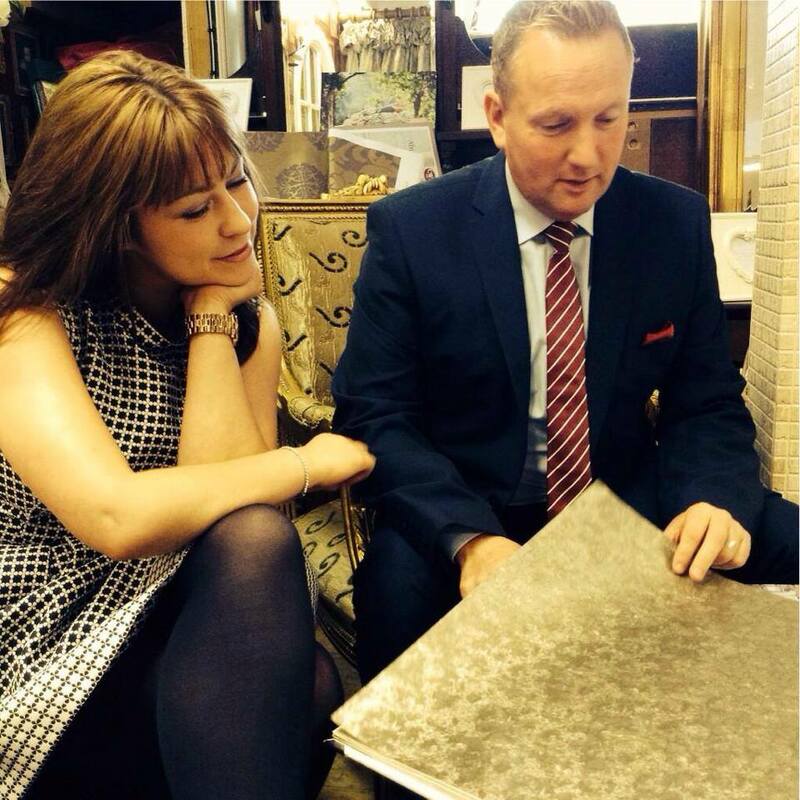 We will ask you a few questions to narrow down your search for curtain fabrics & wallpapers. So whether you are starting from scratch, or simply want advice on revamping a room in your home, you can be assured that at June Rayfus Interiors you will get a personalised home decorating service along with a custom made curtain, all types of blinds and fitting service. We offer a complete fit out service to the Hotel and Guesthouse hospitality sector. Our services include interior design from start to completation working with you all the way. We can project manage your refurbishment from flooring right up to the curtains. We supply flooring, furniture, fireplaces, wetrooms and tiling refurbs, lighting, curtains, wallpaper and all soft furnishings. We work with top craftsmanship for carpentry and painting and decorating. Free Interior Design Consultation please contact us today! Some of our recent Hotel Fit out projects include the bedroom refurbishments at the four star hotel The Knightsbrook Hotel & Golf Resort and the River Spa in Co. Meath. We offer our made to measure curtain & blind workroom services to Interior Design professionals, Architects & Contractors across Ireland. We offer an efficient and affordable make up service with optional curtain & pole measuring and fitting service. You can select from our extensive range of designer curtain fabrics and premium curtain linings, or you can supply us with your own fabrics. All our poles, rails & blinds are professionally fitted by our own fully trained fitting team. You can be assured that our team of fitters are of top quality and craftsmanship. 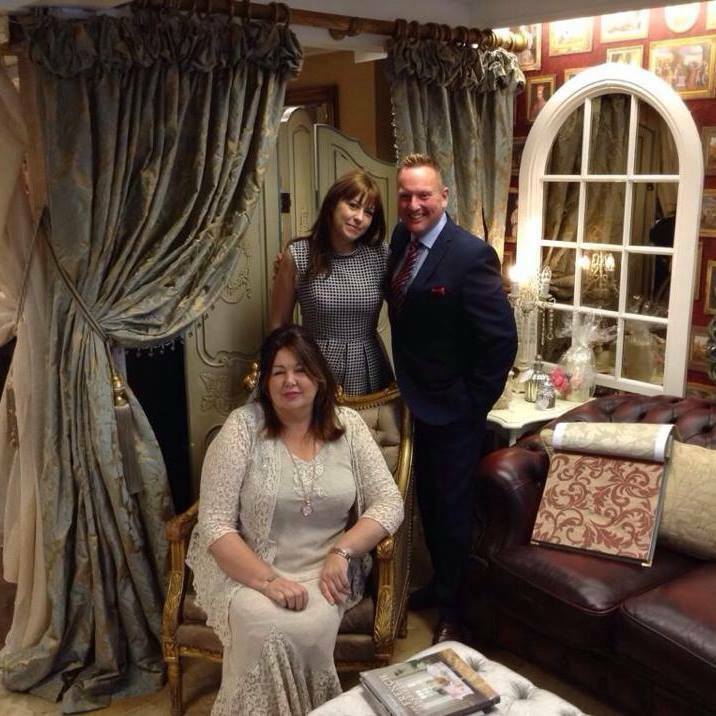 "Best in Interiors" Winner award at the Meath Style Awards 2017, also “Best Window Display 2012-2014 " awarded by Pride of Places, Navan Town Council, Co. Meath. Accedited by celebrity Interior Designer, Neville Knott from Neville's Door Step Challange on TV3.